Spirulina is a microscopic multi-cellular cyanobacterium, which is found naturally in lakes and rivers across Africa, Asia and South America. It is a very simple and ancient life form, which produces its own energy from sunlight through photosynthesis using the blue pigment phycocyanin, so spirulina is also sometimes referred to as “blue green algae”. However spirulina is not actually an algae, or a plant — it lies somewhere between the two, having first evolved some 3.6 billion years ago. Cyanobacteria like spirulina are able to survive under extreme conditions which other microorganisms cannot tolerate; an alkaline pH of 11, and temperatures up to 45°C. They are also photoautotrophs — they use carbon dioxide from the atmosphere and sunlight to create energy, and for these reasons they are believed to be one of the first organisms to have colonised the earth. These early cyanobacteria also contributed to changing the atmosphere of the earth from carbon dioxide to oxygen, allowing other life forms to evolve. Spirulina grows in spiral shaped filaments about 0.5mm long, which reproduce quickly by breaking off small segments and re-growing, and at peak production in the warm summer months can produce up to 20g of protein per square metre per day. The spirulina filaments aggregate to form a solid green mat on the water’s surface which can be harvested by scooping it up with nets or shovels, and as early as the 16th& century was being dried into edible cakes called ‘techuitatl’ by the Aztecs who appreciated its high nutritional content. Spirulina is also eaten in huge volumes by flamingos on Lake Natron in Africa, and as the cyanobacteria are digested they release carotenes, a natural pigment which spreads to the feathers and beaks giving the flamingos their characteristic pink hue. Because spirulina has such a high tolerance of salt and thrives in bodies of water which are strongly alkaline, it is usually found growing in monoculture as most microorganisms cannot survive in the hostile environment that spirulina prefers. This means that organically farmed spirulina doesn’t require the use of any chemical pesticides to sterilise it, as the conditions for growth are naturally inhospitable to contaminating organisms. Our spirulina is grown on a peninsula in the South China Sea. This location is ideal for spirulina cultivation as it offers consistently warm temperatures and long hours of sunshine, which are essential for productive growth rates. The farm is surrounded by pristine natural forests and is completely isolated from urban areas and sources of agricultural pollution. Our spirulina is routinely tested for the presence of mercury, lead and other contaminants to ensure that the finished product is completely pure and poses no risk of heavy metal poisoning. In addition, samples from the growing ponds are tested daily to give a pH value and optical density reading, which measures the concentration of spirulina in the water and tells us when it is ready to be harvested. It takes approximately 2 months of continuous growth until the spirulina can be harvested for the first time, but after that it grows so quickly that repeat harvesting can take place every week. The spirulina is removed from the water by passing it through a fine mesh-screen that captures the small coiled filaments. 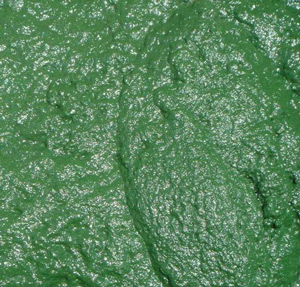 The gathered spirulina is then sieved, transferred to a washing pond, and then cleaned by hand over a mesh-screen to ensure that only pure spirulina is processed. This wet spirulina is placed in a drying chamber which quickly removes all moisture through evaporation whilst preserving the nutrient content, leaving a fine green powder which can be packaged immediately, or compressed into spirulina tablets. 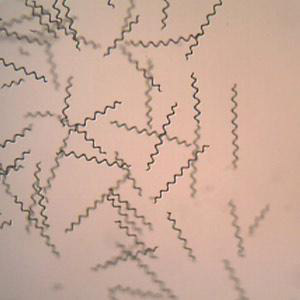 Unlike terrestrial plants, spirulina has no hard cellulose cell wall so is easily digested. It is predominantly composed of protein — up to 70% — and contains all of the essential amino acids (those the human body cannot produce so must acquire through diet) which are vital for tissue repair and growth. It also contains high levels of the minerals iron, zinc, selenium, potassium and calcium, which contribute to developing healthy bones and blood cells, and can boost immunity and help develop memory in infants. Spirulina is a good source of the vitamins B1, B2, B3, B6 and B9 which are all needed for a healthy nervous system and internal organs; Vitamin D which ingested alongside calcium can help prevent bone diseases such as rickets and osteoporosis, and vitamin A which maintains healthy vision and eyes. It also contains high levels of the natural antioxidants vitamin C and vitamin E, which can limit free radical production and cellular damage. Organically farmed spirulina is the most environmentally friendly source of protein available — it is nutritionally complete, can be cultivated on areas of land unsuitable for other forms of agriculture, and unlike farming of animals which is one of the biggest greenhouse gas emitters releasing 34kg of CO² per kilogramme of meat protein, spirulina actually removes carbon dioxide from the atmosphere while it is growing. 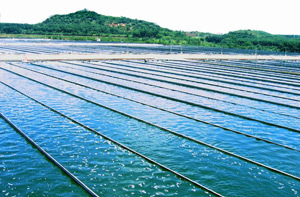 Because it reproduces so quickly and produces its own energy from sunlight, spirulina farming is also very energy efficient — none of the biomass energy is wasted or lost during the production process, and almost all of the nutrients can be preserved so that the final product contains freshly synthesized and easily digestible protein and vitamins from the first stage of the nutrient cycle. Organic spirulina powder can be mixed into a glass of water and consumed as a pure supplement, or blended with fresh fruit into nutritious smoothies. The powder can also be sprinkled over salads and soups to add a powerful dose of protein, vitamins and essential minerals to your daily diet. Content copyright of Supernutrients © Supernutrients 2018. All rights reserved.